In a statement signed on Friday 28 July 2017 by its speaker, Mohammed Salihu and clerk, Desmond Minakaro, the group gave Mr. Osinbajo 10 days to order the arrest of the IPOB leader. The group threatened to shut down federal government activities in the Federal Capital Territory if the acting president fails to meet its demands. “The leadership of Arewa Youth Assembly has observed with keen interest the high level of lawlessness in the country and the silence of government on issues that are capable of disintegrating the country. “The level of insecurity and youth agitations call for concern by all well-meaning Nigerians. These threats have turned our country into a place of uncertainty and now a laughing stock within the international communities. Nigerians now live in a state of fear and trauma,” the group noted. The group said the government’s silence on Mr. Kanu’s activities was no longer golden. 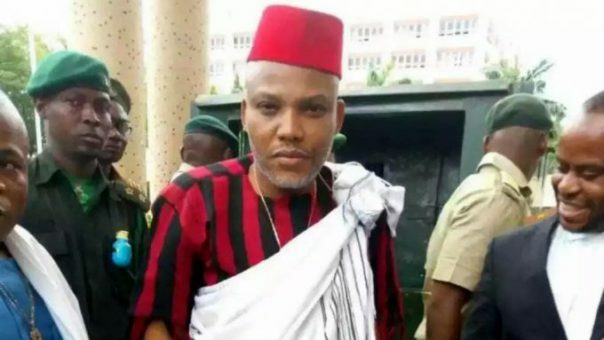 “The most surprising and amazing of these is that the federal government is watching while Nnamdi Kanu is creating a state within a state, threatening to stop Anambra state gubernatorial election, holding rallies in South-South and South-East and using provocative and inciting words, granting interviews to the press, which pose a threat to national unity and security.” the statement added.